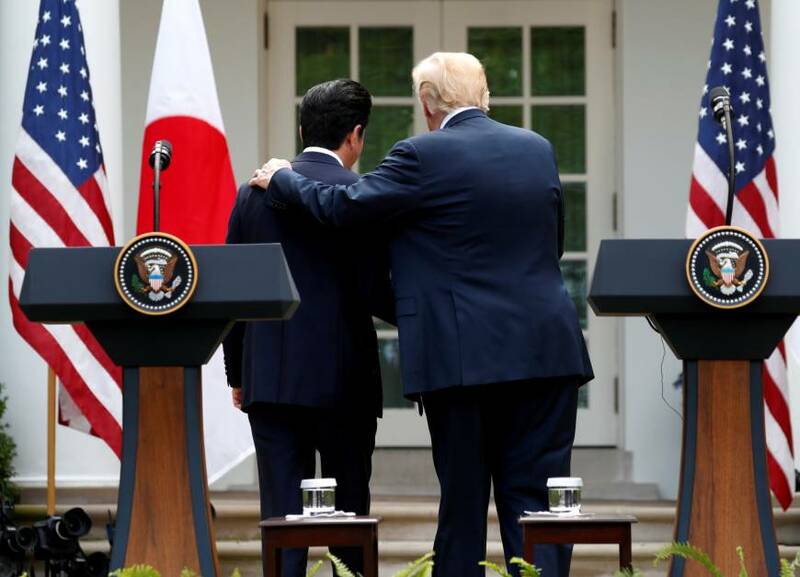 The United States President Donald Trump threatened Japan’s Prime Minister Shinzo Abe he would ship 25 million Mexicans to his country, one of a series of bizarre missives that jarred fellow leaders at last week’s acrimonious G7 meet. The Group of Seven summit gathering of top industrialized democracies finished in disarray after the US president abruptly rejected its consensus statement and bitterly attacked Canada’s Prime Minister Justin Trudeau. Behind the scenes, Trump’s counterparts were dismayed by verbal jabs on topics ranging from trade to terrorism and migration, The Wall Street Journal said, quoting European officials who were present. At one point he described migration as a big problem for Europe then said to Abe: “Shinzo, you don’t have this problem, but I can send you 25 million Mexicans and you’ll be out of office very soon,” creating a sense of irritation in the room, according to an EU official. European Commission President Jean-Claude Juncker also came under fire and was repeatedly described by Trump as a “brutal killer” in reference to the bloc’s antitrust and tax fines against US tech companies that have run into billions of dollars. Bitter differences over trade dominated the summit hosted by Canada, with leaders of the world’s largest economies lining up against Trump’s threats to impose stiff tariffs on imported steel and aluminum. After rejecting the joint statement, Trump and his top aides assailed Trudeau, accusing him of dishonesty and betrayal.